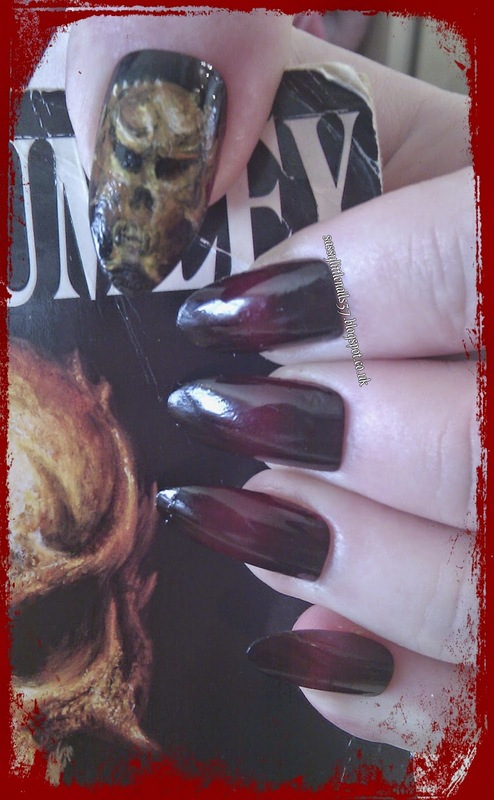 I was inspired to do a Halloween nailart by seeing the front cover of a horror vampire novels called Necroscope.Brian Lumley wrote his dead-waking, ground-breaking horror novel Necroscope®, featuring Harry Keogh, the man who can talk to dead people. Here is more about Brian and his books on his web site click HERE. 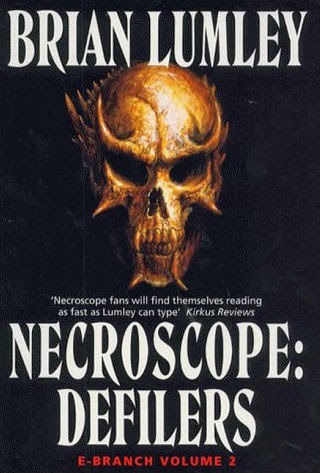 I have to say these novels aren't my cup of tea far to scarey for me but my Husband Ste loves them! Max factor polish in Ruby fruits. BeautyUK Ultra gloss clear top coat. Various colours of Acrylic paints and small brushes. I started with using a gradient effect on all nails using the 2 shades black and the ruby in the middle and black dabbing them on with a sponge I did this about 3 times then I applied the top coat. 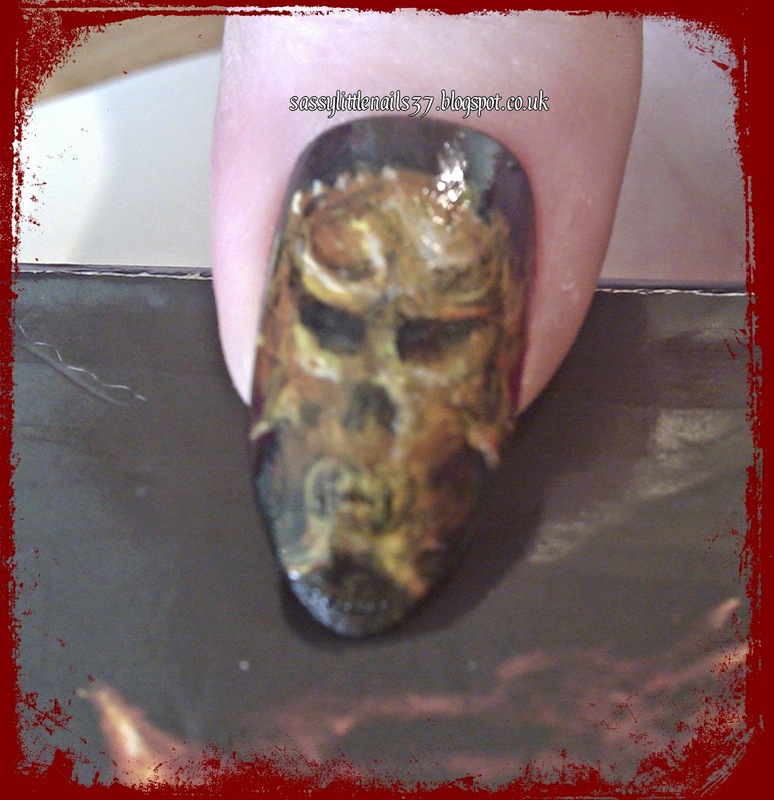 I did the Wamphyri on the thumb nail freehand using various acrylic paints and gave this a top coat. 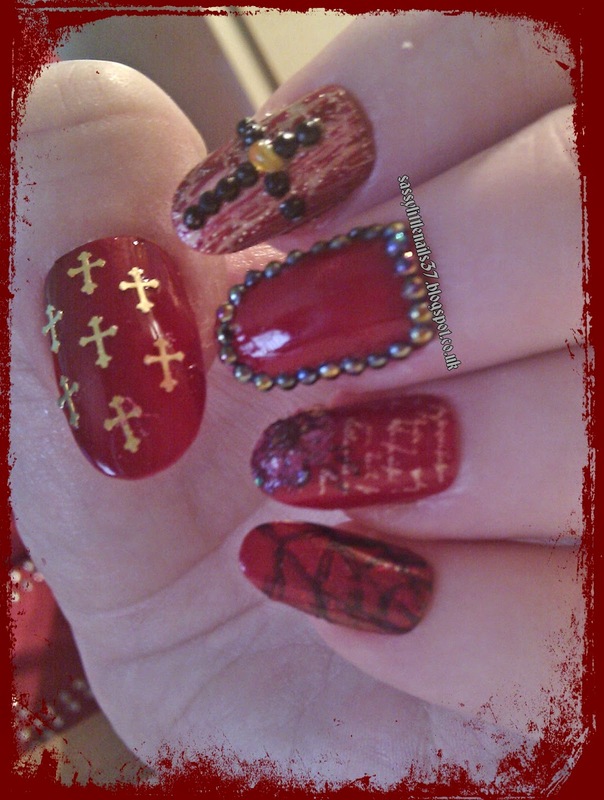 I really enjoyed doing this Nailart I hope you like it too! How we all doing? good I hope. You can tag yourself and friends and join in! just leave me your link in the comments so I can see your answers! 1. On a scale of 1-10 how happy are you that it is Autumn? 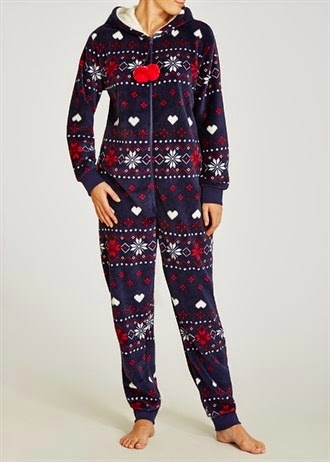 on the sofa with a nice cup of tea wearing your Onsie.however I don't like the freezing cold bitter winter outside I would rather be inside all warm. 2. What is your Favourite candle scent for this season? 3. Coffee, Tea or Hot chocolate? Depends on my mood I mostly drink tea with milk no sugar or I have a milky hot chocolate options drink. 4. Your best Autumn Memory? Gosh must have been when I was a little girl we lived in Wales for 2 year's (northwest uk) and the snow during winter time was amazing! I remember making a huge snowman in the back garden with my family and using my Mum's scarf and some old buttons a carrot and my Dad's hat! then we made some sleigh boards and had so much fun! 5. Dark lips or neutral? Depends on what I am wearing but I mainly go for neutrals not to dark. I love my perfumes but one I mainly go for during Autumn is Calvin Klien Midnight Obsession is very musky nice scent.or The body shop- Rose musk.and of course I love Victoria's secret scents. 7. Best movie to watch during this time? 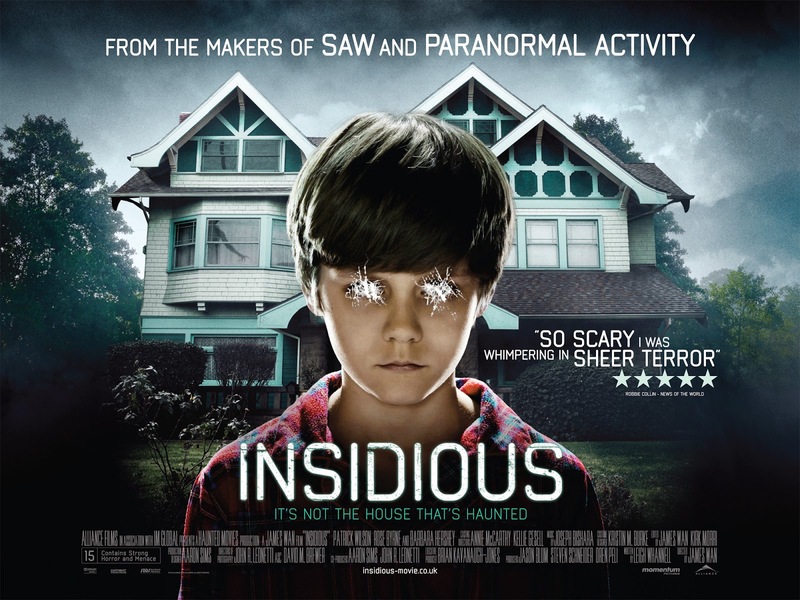 well I love to watch scarey movies like Insidious! and The lost boys! one of my favs is Constantine, and I LOVE watching the US TV series Supernatural! 8. Best song to play during this time? 9. 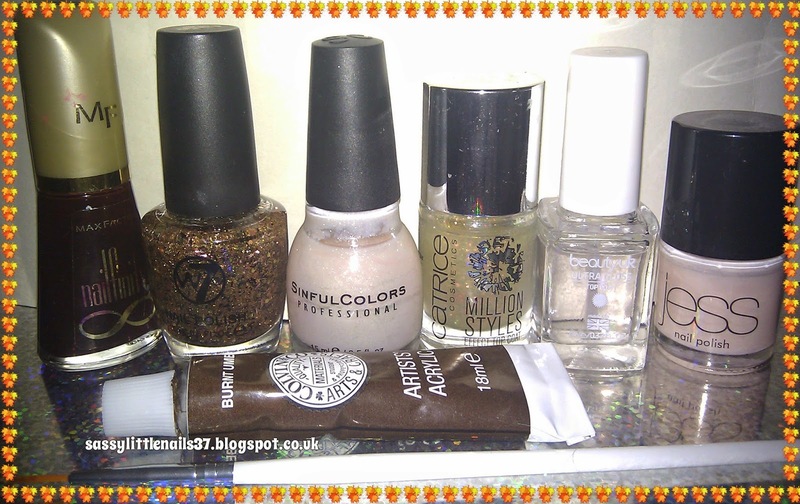 Top three nail varnish colours to wear during the Autumn? Oh geez that is a difficult one asking a nail polish hoarder like myself lol but I like the dark colours of browns rusty oranges and dark purples and dark blues. 10. Do you still trick or treat? Nope I use to take my daughter when she was younger but she grown up now. 11. What is your all time favourite scary movie? and I love the Zombie films like World war Z and resident evils. 12. Best Halloween costume you wore? Must have been a sheet with 2 holes for the eyes when I was a kid lol. 13. What witch would you be if you could pick out of a movie or tv show? I like the TV series Once upon a time and the Evil Queen Regina has some fabulous powers I would like to have if I was a witch. 14. If you could bring back 2 celebrities from the dead for a whole day who would you bring back? Paul Walker the actor for his wonderful charity work and Bruce Lee the conversations I would have with them both would be amazing! 15. Tell us your plans for this Halloween night? I will be cuddling up on the sofa with my hubby and cats watching a movie all cosy. 16. 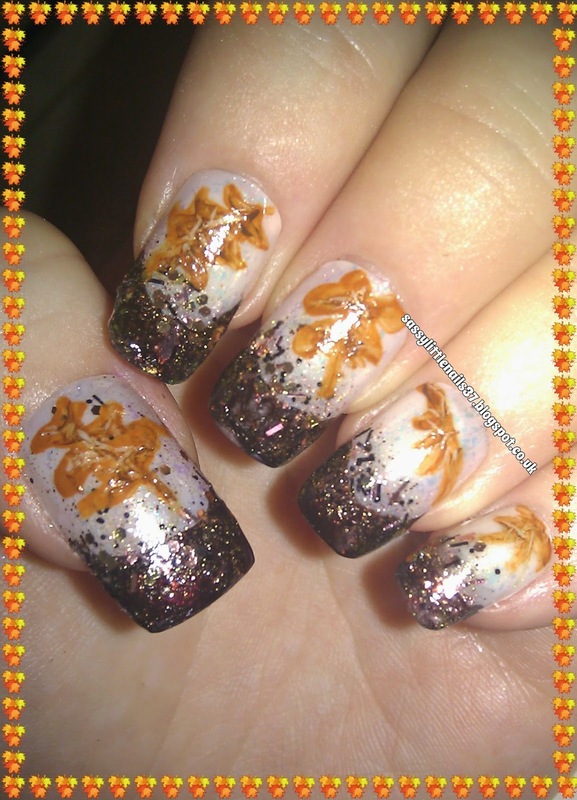 Best Halloween nail art( from yourself or the internet)? More coming up shortly thanks for stopping by. I hope your week is going well so far? 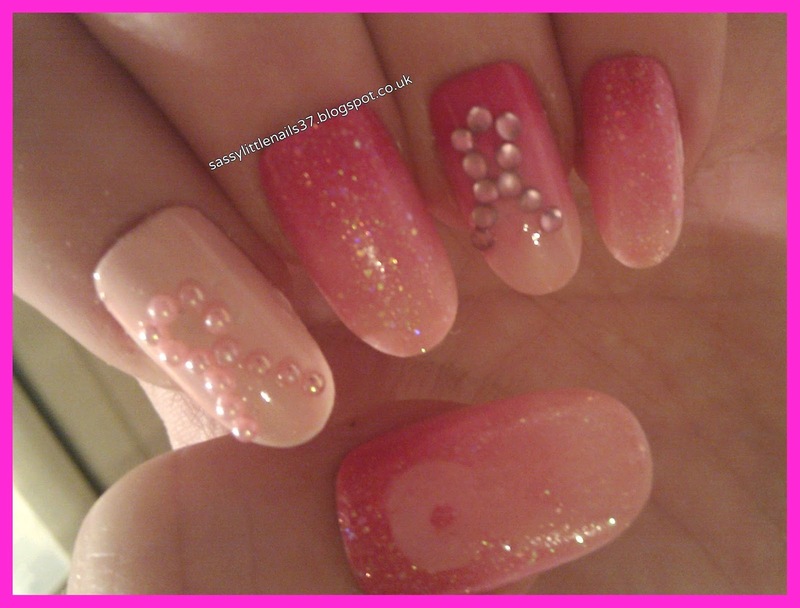 I have a quick nailart post for you today! Laval polish in Glitter Dazzle. Sally Hansen polish in Berry Juicy. TarasTalons polish in Sugary sweet. Sinful Colors polish in Snow me White. 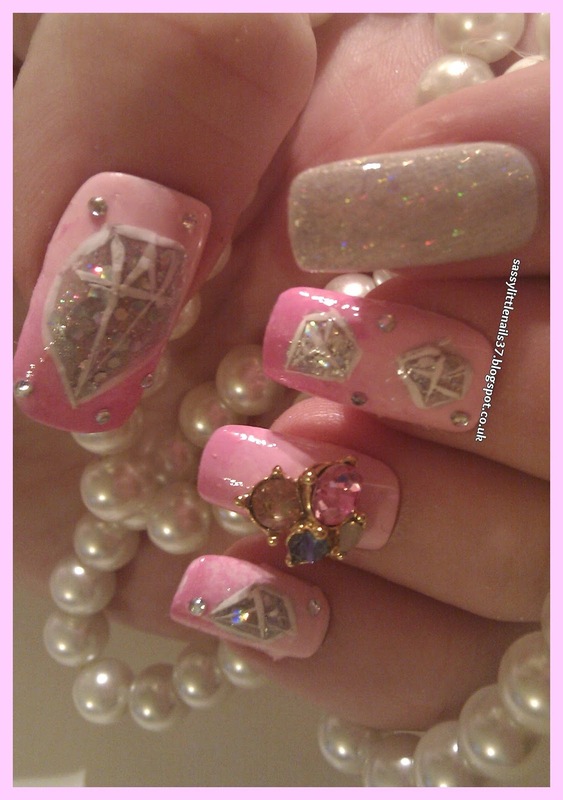 I hope you liked my jewel diamond nails. I have not forgotten you all sorry for not posting this week but it has been a hectic busy week for me with check ups/appointments ugh as well as celebrating my 39th Birthday last Tuesday! I had a lovely day and got some cute PJS from my daughter with chocs and some cash from my parents and from my wonderful Hubby Ste a lovely AA Tanzanite & White Zircon 9K White Gold Ring and is a beautiful blue/purple colour.I will post all about the ring soon. 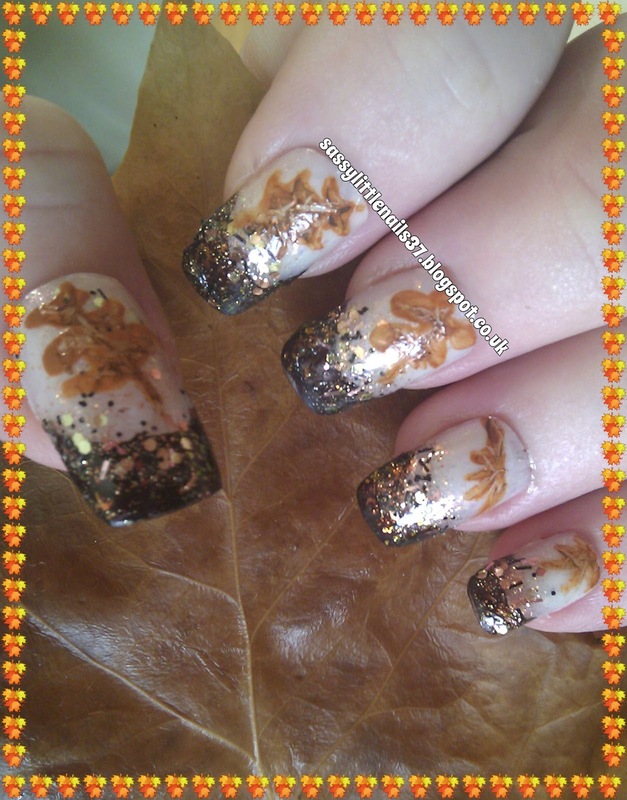 Now as we all know Autumn is here the leaves are turning brown golden colour and falling.I decided to do a quick french manicure type of nailart with Freehand Autumn leaves. Sinful Colors polish in Social Ladder. 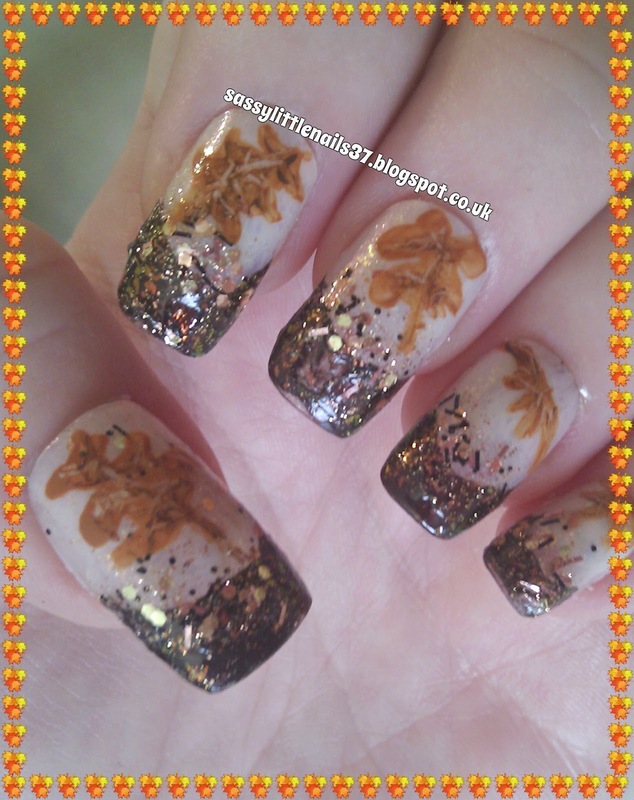 W7 Glitter polish in Bronze Debris. Catrice polish in Shake it flake it. Max Factor polish in Ruby Fruit. Beautyuk Ultra gloss top coat. I started with 2 coats of the frenchie polish then 1 coat over that with the Sinful colors polish. When dry I went across each nail tip using the Ruby Fruit shade and when dry I went over it using the W7 glitter and Catrice polish over all the nails. 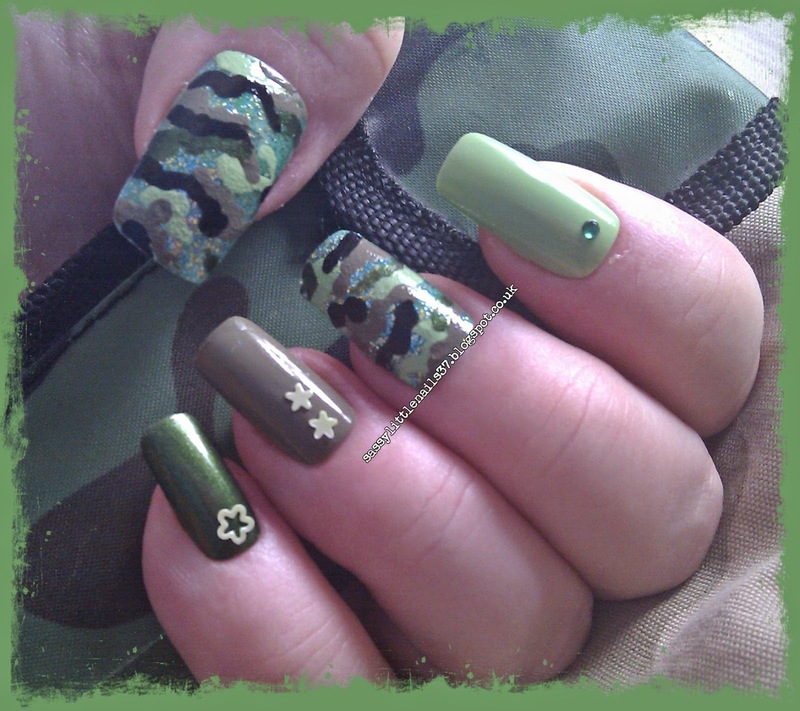 I then hand painted each leaf with Acrylic paints gave the nails a top coat to seal it in. 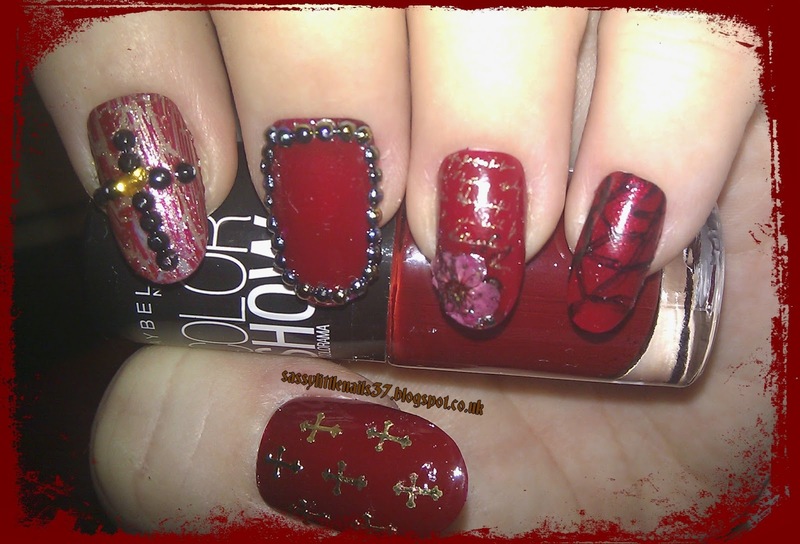 Check back for more Nail art shortly and some Halloween nails as well as some product reviews coming up.. I hope you are looking forward to a nice weekend. Gemporia offers the very best in stylish, affordable and responsibly made jewellery. At Gemporia, we believe that beautiful jewellery shouldn’t cost the earth, nor should it be mass produced or run of the mill. But it should leave a legacy, for those who wear it and those who help to make it. That’s why we only use genuine gemstones and precious metals to make our jewellery in limited runs. It’s also why we work closely with The Equal World Foundation to aid communities where gemstones are found, educating and supporting them so they can grow as we do. Our aim is to be original, inspiring and ethical. 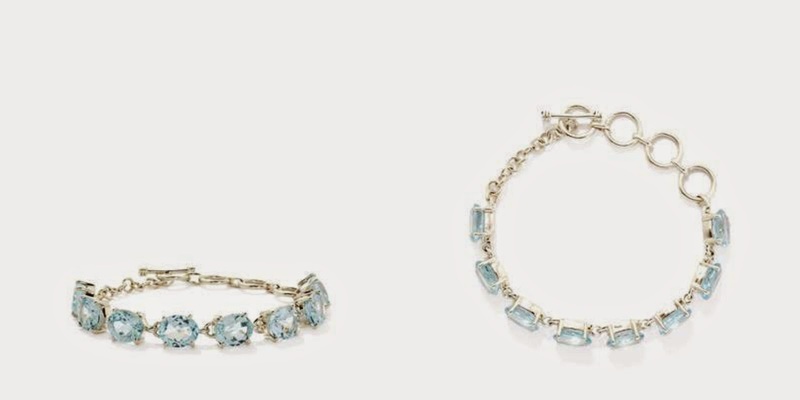 A charming Bracelet from the Tookalon collection, made of Sterling Silver featuring 32.00cts of glorious Blue Topaz from Brazil. 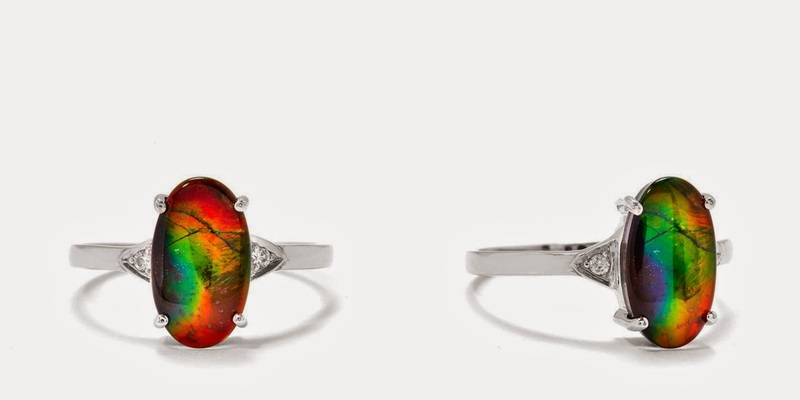 An exquisite Ring from The Ammolite Collection, made of 9K White Gold featuring glorious AA Grade Ammolite and dazzling White Zircon. A stunning Ring from the Lorique collection, made of 18k Gold featuring 21.38cts of amazing Minas Gerais Kunzite and dazzling Diamonds. p h o s p h o r e s c e n c e, which gives the gem the ability to glow in the dark. This luminous appearance is due to the fact that Kunzite is able to absorb energy and slowly releases it in the form of light. The effect is similar to luminous hands on a watch, which help you tell the time when you wake in the middle of the night. 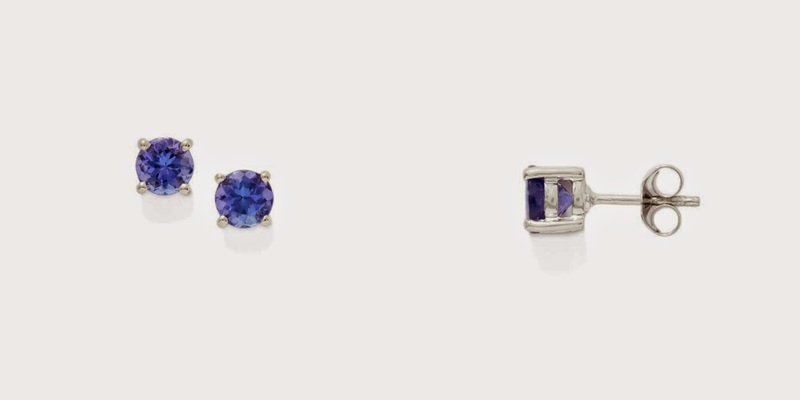 A stunning pair of Earrings from the Jacque Christie collection, made of 9K White Gold featuring 1.34cts of charming AA clarity Tanzanite from Tanzania. A captivating Set of Ring, pair of Earrings and Pendant from the Annabella collection, made of Sterling Silver featuring 3.15cts of amazing Cullinan Topaz from Nigeria. I would love any of these fabulous effortlessly elegant pieces which works with every look.Affordable prices to suit any budget! 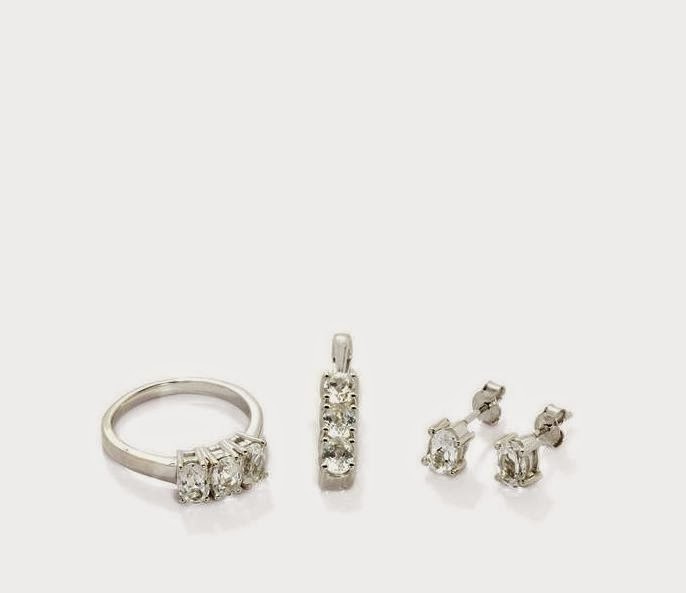 Exhibiting beautiful attention to detail in every piece.You'll find a breathtaking collection of exquisite diamonds, including engagement rings, eternity rings, necklaces, bracelets, earrings and much more. Click HERE to look through the Gemporia web site. What's your favourite type of jewellery? Don't forget to follow me if you haven't already thank you. 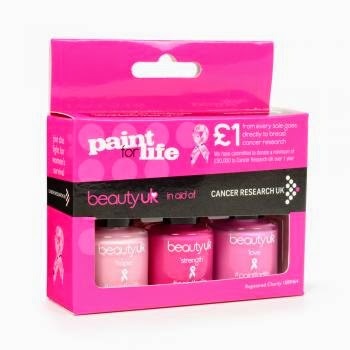 BeautyUK developed a unique boxset in aid of raising money for Cancer Research UK. Consisting of three utterly gorgeous shades of pink, the ‘paint for life trio’ and individually named each bottle with ‘hope’, ‘strength’ and ‘love’. And remember.. £1 from every set sold goes to this amazing charity! I decided to do a simple nailart in support of this charity to help raise awareness. 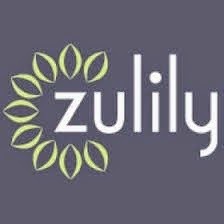 The items used are listed below. Paint for life trio boxset in hope strength love. 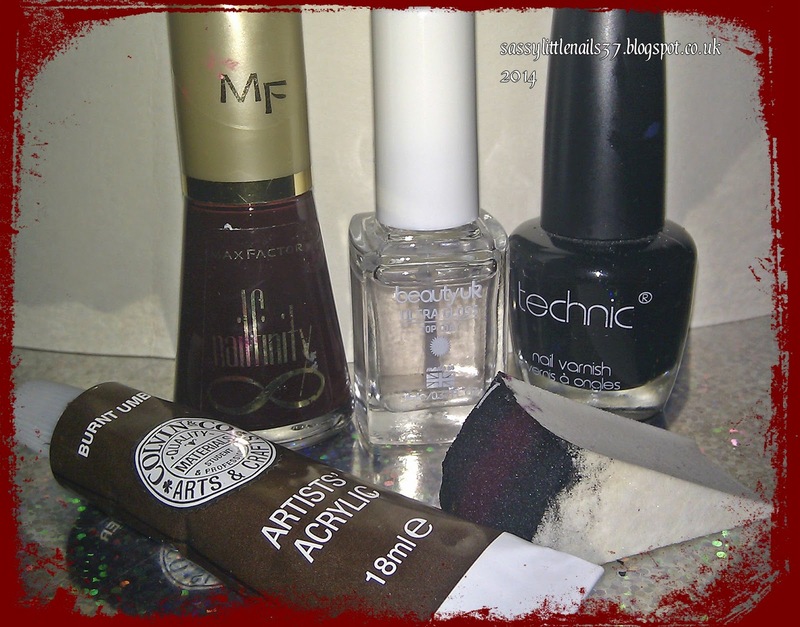 BeautyUK 5 in 1 base & Top coat. Sinful Colors polish in Pinky Glitter. I painted a base coat first then I painted a gradient effect using a make-up sponge painting the 3 trio polishes across the sponge then dabbing it onto each nail repeated this step 3 times leaving the pointer finger out as I painted that using the Hope polish I gave it 3 coats. 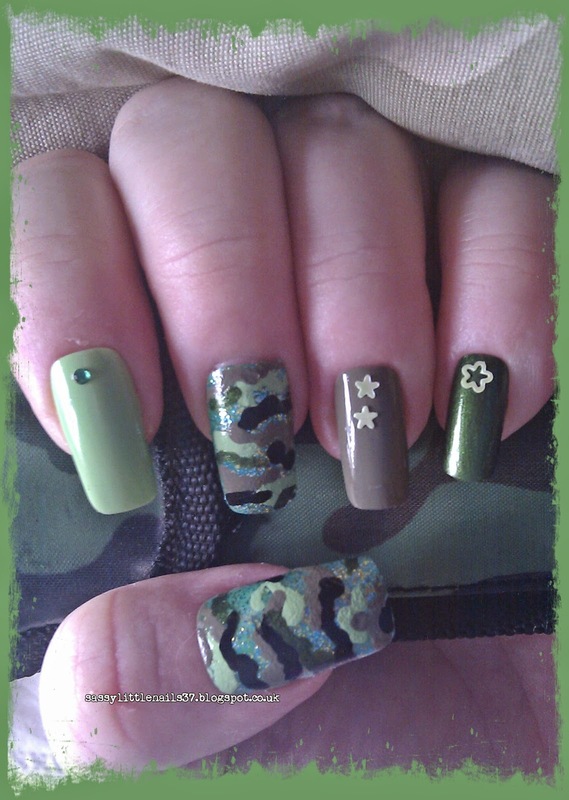 When tacky I gave the nails a top coat to blend the colours. Starting on the thumb and middle and little finger I painted the glitter Sinful Colors polish,once dry on the thumb I used the dotting tool and painted the ribbon using the Hope polish. 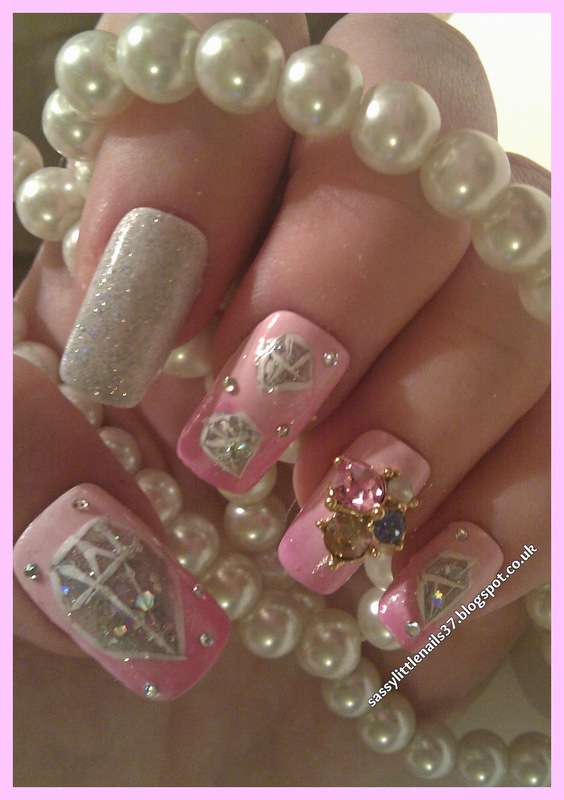 On the pointer finger I gave it 1 more top coat when tacky I placed some pink pearl beads in the shape of the ribbon.I did this same step on the ring finger using the pink rhinestones. it's all done. Thanks for stopping by I hope you liked my nail art! I hope you all keeping well.I had my flu tab this week and a sore arm to too! but at least it's done with for another year! My poor back kicked off again this week also so I have not been as mobile as I would have liked to have been but oh well I try my best to do what I can when I can. 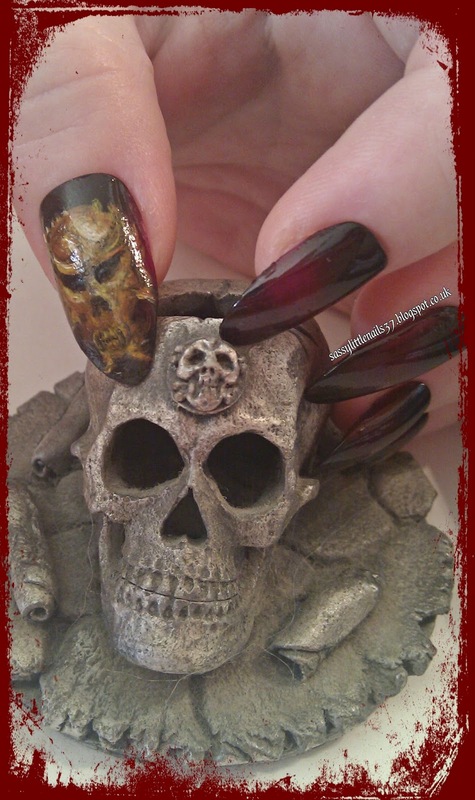 Now my little moan/rant is done lol I can get on with my Halloween nailart I did today! 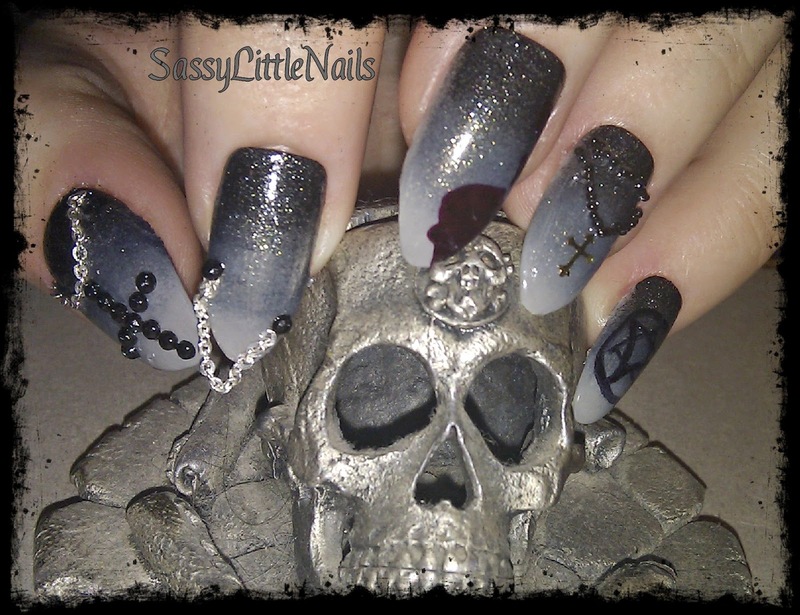 As it is getting nearer to Halloween I thought I would a simple nailart in a Gothic theme. 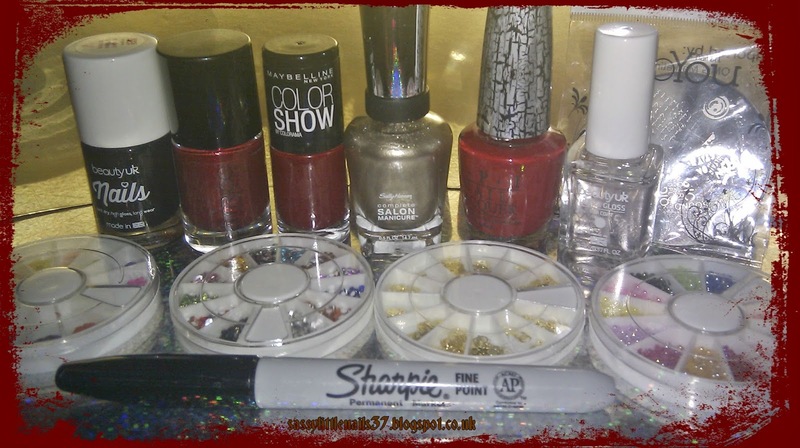 Items I used for this nailart listed below. Maybelline Color show polish in Downtown Red. Beautyuk polish in Black out. O.P.I shatter polish in Red shatter. Catrice polish in Mayilyn & Me. Sally Hansen polish in Coat of arms. Bead - Rhinestones-3D Flower - Studs. I gave all nails (apart from pointer finger) 2 coats of the Maybelline polish then when dry I gave the thumb a top coat while tacky I place on some 3D gold cross studs. The pointer finger I painted 2 coats of the Sally Hansen polish then when dry I went over the nail with the O.P.I shatter polish.gave it a top coat then while tacky I placed some Black and 1 Gold rhinestones on in the shape of a cross. The middle finger I simply gave a top coat and stuck on some pearl black beads around the nail. The ring finger I used the Moyou plate and I stamped some writing in the Sally Hansen polish.I then stuck on the 3d flower and made it darker with some dark gray polish. Little finger I gave it 2 coats of the Catrice polish and then when dry I hand drawn a spider web across the nail. Hope you enjoyed my nail art! Thanks for reading more posts coming up with more Halloween themes shortly! How you all doing? I hope you all well. 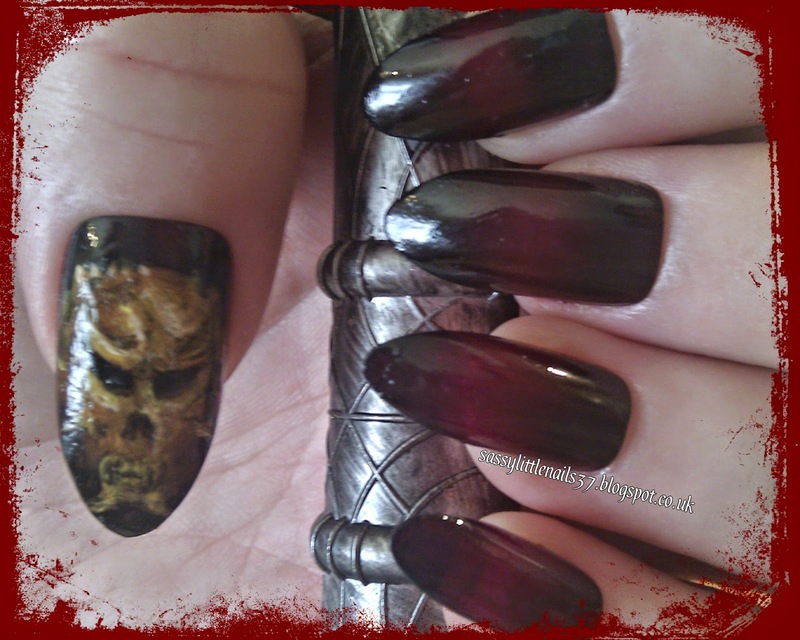 I have a nailart to post today! Here is the items I used below. 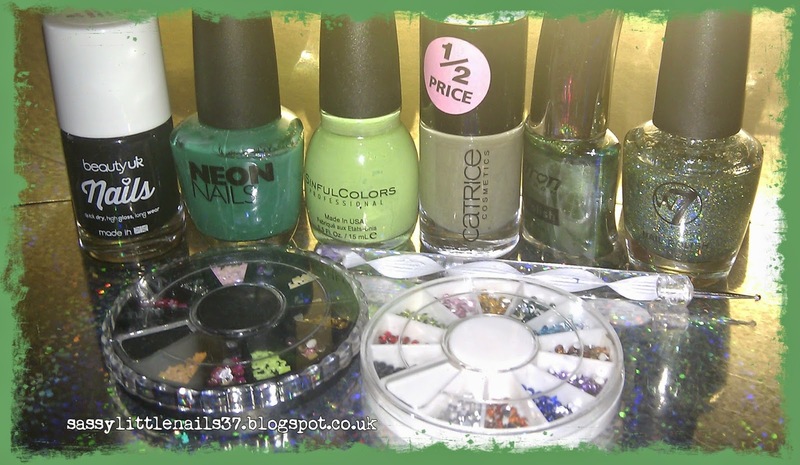 Neon nails polish(B&M) in Green. Sinful colors polish in Pisache. Catrice polish in It's Rambo No 5. Saffron polish in shade 15. W7 Glitter polish in Cosmic green. Rhinestones and sequins and a dotting tool. I gave all the nails a base coat first then I painted the thumb and middle finger with 1 coat of the B&M polish and then when dry 2 coats of the glitter polish. The pointer finger I painted 2 coats of the Sinful colors. The ring finger I painted 2 coats of the Catrice polish and the little finger I gave 2 coats of the Saffron polish. I stuck on some sequins and rhinestones on the nails. 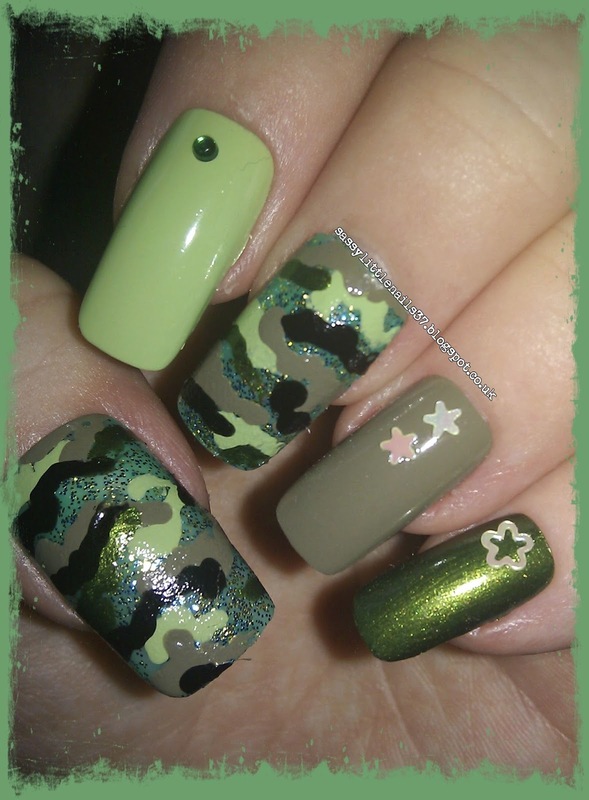 for the thumb and middle finger I used the dotting tool to create the camouflage pattern using the Sinful colours the Catrice polish and the Saffron polish and then the black beautyuk polish.ALL DONE! Hope you enjoyed my nail art! 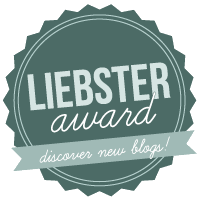 Thanks for reading more posts coming up shortly! Hi, welcome to Sassy Little Nails, I am Dawn. I'm 40 years young and happily married with one daughter who has her very own beauty blog. 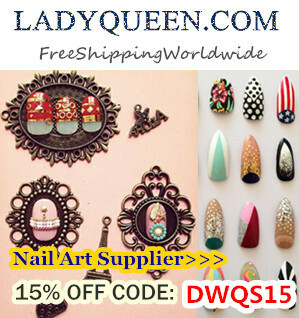 I am here to share my nail art designs and reviews on beauty, make-up, nails, fashion, home and health and all things girly! Most of all I am here to have fun, make new friends and have a great blogging experience! 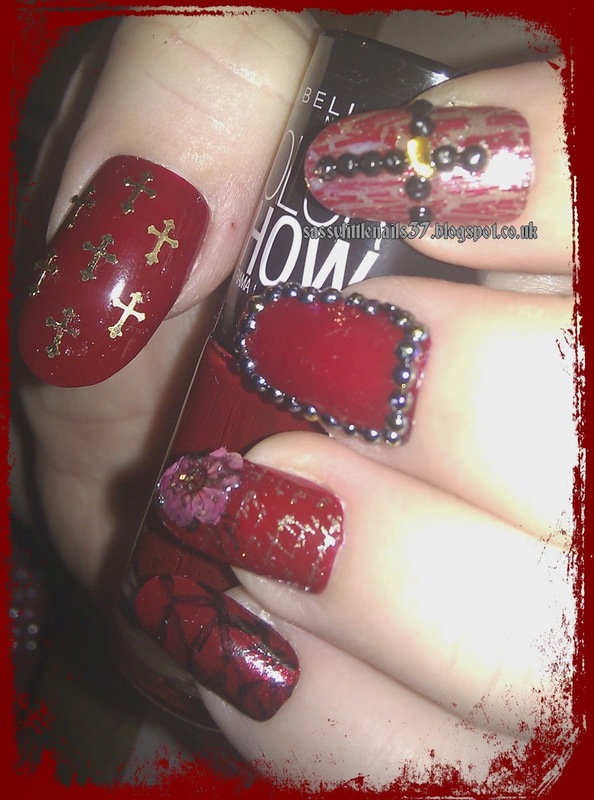 Remembrance Day Poppy nail art.